We met Vikki at an open house. We loved her right at the start and knew she was perfectly smart and very ambitious to get exactly what we wanted in our ideal home. My work schedule left little time for me to see homes and she was amazing being my eyes, she found everything we wanted in a home and much more than we ever dreamed we would have! We had such a hard time with our financing company. She was so aggressive and on every single detail. She was able to get everything done that needed to be done with them all the way up through closing. Vikki on every account is organized, ambitious, loyal and very contagious to all she works with such positivity! She is professional and reliable to get you everything you are dreaming of and more. We couldn't be happier! THANK YOU VIKKI!!! Buying a home is an intimidating process. From start to finish, Vikki was there to help us every single step of the way. She was always just a phone call or text away to answer questions, show us homes and help to guide us through our first major purchase. We couldn’t be more pleased with the home we bought, and there is no doubt in our minds that Vikki is the sole reason we ended up the owners of a beautiful house that is well within our price range. She only showed us homes we could afford and steered us right to the perfect first home. We are so blessed to have found this amazing realtor for our first home buying adventure. I have personally given Vikki’s information to several of my friends who are about to begin their own home buying process and would absolutely recommend her to anyone who is ready to buy. I met Vikki at an open house in Tempe. Though I had overcome substantial financial hurdles, my financial history was less than desirable on paper. As a result I was “just looking” to see what housing prices were. In fact, I had just been told my chances of purchasing a house in the foreseeable future were nonexistent. That really didn’t matter to Vikki. She treated me with respect and dignity, and in the same manner she would have treated a high-end client. She was friendly, caring and took the time to listen to the challenges I faced. Throughout the following months, she kept in touch with me, provided advice, sent emails and called to see how I was doing and if anything changed. She never gave up, nor did she pressure me or warn me about how the market was going to change if I didn’t do something soon. Instead, she simply said “I’m here when you need me.” Throughout the process, she was always supportive and reminded me there was a way. She was right. Vikki directed me to a mortgage broker who could work with me. She listened to me over time and determined what was important to me in a home, and she worked tirelessly with me to get the right price for the right place. My family and I couldn’t be happier. She’s truly an amazing person. I would never hesitate to recommend Vikki Goy to anyone. She is personable, genuine, responsive and committed to her clients. She is a true professional. Thank you for all you have done, my friend. Vikki is fantastic. She helped me through the process of finding a new home, making the offer, AND was right there with me through the entire process --- even at the table during the closing. Couldn't have asked for a better person to be in my corner. This agent has integrity, patience and a desire ensure that everything works out perfectly. I would recommend Vikki to anyone (and everyone) looking to purchase a home. Thanks Vikki for the great experience. Vikki was amazing to work with and led me through every step of the home buying process (first time home buyer). Throughout the entire process Vikki was on top of every detail through frequent communications with all parties involved and provided me with almost daily updates. With Vikki's help and guidance I'm now in a home that I love! We have known Vikki for a long time and always considered her a wonderful friend. What I realized once we asked her to find us a house and started working with her, was how important it was to her that we were totally happy with not only the house we bought but the whole buying expedience. Vikki showed us 25-30 houses, often meeting us at the drop of a hat when something hit the market. Never pushed us, merely helping us understand the pros and cons of everything we looked at. We found the perfect home for our needs at a fantastic price. There are not many buying experiences where customer service is still a priority, but with Vikki it is her way of doing business. I have to thank Vikki for her unwavering commitment to help me find my dream house in Arizona. As an out of state buyer, it was extremely difficult to house hunt. On my first visit to check out areas, Vikki spent two days driving my daughter and I around Mesa, Gilbert and Chandler while temperatures exceeded 110 degrees. On my second visit, we spent two days focusing on Gilbert and Chandler. Well into the second day, I had a meltdown because I wasn't finding that special house. Vikki talked me down, encouraging me to rent for six months and not force myself into buying something other than what I wanted. Pretty selfless act considering she had already invested four days in sweltering heat to help me find my house. Low and behold, two houses later, we walked into the perfect house...all of us knowing within a minute. Vikki helped me through the home inspection process, located repair people and followed through with making sure repairs were done even after I had moved into the house. I not only had the realtor of a lifetime, but made a friend for the future. Thanks, Vikki! I met Vikki at an open house in Gilbert, we discussed our upcoming house search and I felt that we had made a connection. I took her card and e-mailed her that night; she called me back within the hour and got us set up on her website to search homes that met our criteria. Thru her website we found many homes that we wanted to go see. She immediately made time available and took us to see every house on our list even though it far exceeded the number of homes she usually shows in one day. By doing this we were able to purchase the home of our dreams. The last house we looked at had just come on the market. We loved it and it had everything we wanted. That night we put together an offer and she presented it to the selling agent. I must say that after looking at houses all day I was tired and thought to myself I wish we could do this tomorrow, but Vikki stressed the importance of getting it done that night. Thank goodness for her diligence because the sellers received several offers after they accepted ours. It is so important to have a professional and Vikki is defiantly that. She was with us thru the whole process and although there were several hurdles placed in front of us by the sellers and their agent Vikki guided us thru it all. We are so happy with our new home and feel that without Vikki’s perseverance it may not have been a happy ending for us. I would recommend Vikki Goy to anyone looking for a quality Realtor. Thank you Vikki! 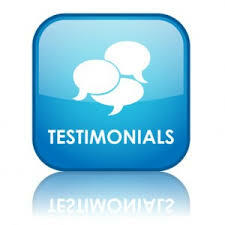 "Vikki did an amazing job helping my family sell our home and purchase a new one. Home buying and selling can be an extremely stressful experience but Vikki helped us through every aspect to help make the process run smooth. She was always there when we had questions and what I liked most is how honest she was during everything. A lot of realtors will tell you what you want to hear to get your listing but Vikki was very upfront and honest and assisted in setting our expectations for an easy sell. With her honest and caring approach we had offers within a few days and accepted the "right" offer in a week after listing. With our accepted offer in place she worked with the other realtor to make sure we all had proper communication to simplify the process and to relieve some of the stress. She had the same determination and passion when it came to purchasing our new home. She catered our viewings to houses that she knew would fit our needs. She always seemed to be available and followed through to help us in our transition into our new home. We will definitely recommend Vikki to anyone that we know who is buying or selling a house. She was great to work! Thank you so much for everything that you did!!!!" Let me know what you think. Thank you again for everything!!!! We highly recommend Vikki Goy to sell your home. From start to finish she demonstrated the professionalism and knowledge we were looking for. Vikki truly impressed us with her relentless commitment to make sure every detail was just right. Her responsiveness and commitment to keeping us informed every step of the way eased the stress and made the process easy. She even took extreme care in watching our dog at times we were unavailable. Overall, Vikki is great! She loves what she does, and it shows in everything she does." We met Vikki during an open house, as we simply speculated about buying a home and she has been with us ever since - she is a warm, caring personality, knows her business and makes sure all steps of purchasing a home are done properly and you are knowledgeable and comfortable during each step! She took her time to show us homes and make sure she gets a great understanding of what we were looking for, and with each home viewing it seemed the three of us learned more about our needs and wants! We love our home and cannot ever thank her enough for all the hard work she put in, keeping deadlines, dealing with the opposing party and getting us the best value!